I remember being a teenager when the concept car was launched in 1993. I swooned over the car. It was the stuff dreams were made of. Two seater Roadster reminiscent of the legendary Spyder. The closest most of us will ever get to driving one. 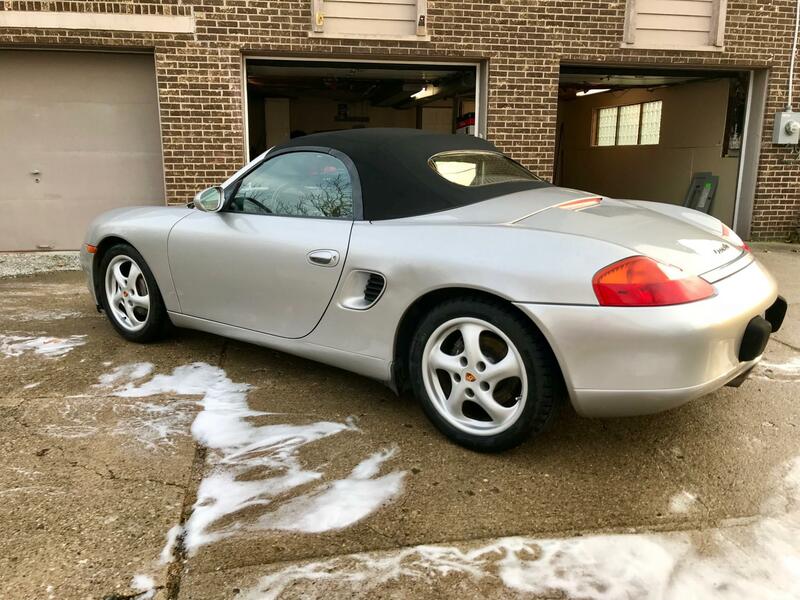 When the Boxster launched in ‘97 I was a senior in high school, nearly homeless due to an abusive father and barely getting by supporting myself entirely working 40 hours a week while being a high school student. It wasn’t easy but I persevered. I made a promise to myself. I promised myself I would someday own a Boxster in Arctic Silver. A reward to myself for surviving a difficult situation, keeping on the straight and narrow. Many nights that goal was the only thing that gave me hope. After school, I got a job in the car business world and I jumped around to luxury brands into management and of course, Porsche. When I was at Porsche, I had demos here and there however it wasn’t “mine”. Life went on. Other cars came and went. Motorcycles became my escape. I met the one, got married, and settled down. Finally in November 2017 the stars aligned. 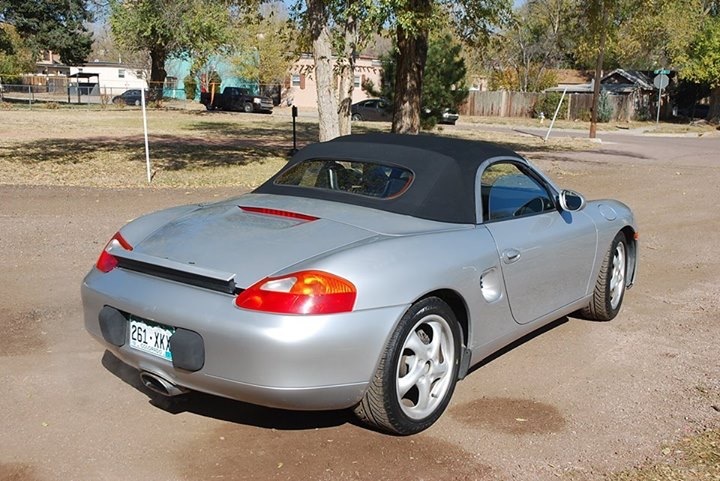 A ‘99 Boxster in Arctic Silver popped up for sale via a friend in Colorado. I’m in Kentucky. The price was very good. The car had a story. Full service history and only 1 owner who passed away. 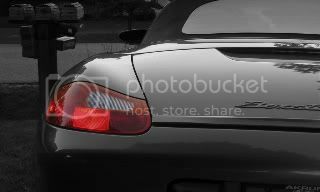 I wanted this Boxster. My spouse is my biggest supporter and understands my passion, and knows the story of my younger days. The words were “You work 7 days a week. You deserve this. 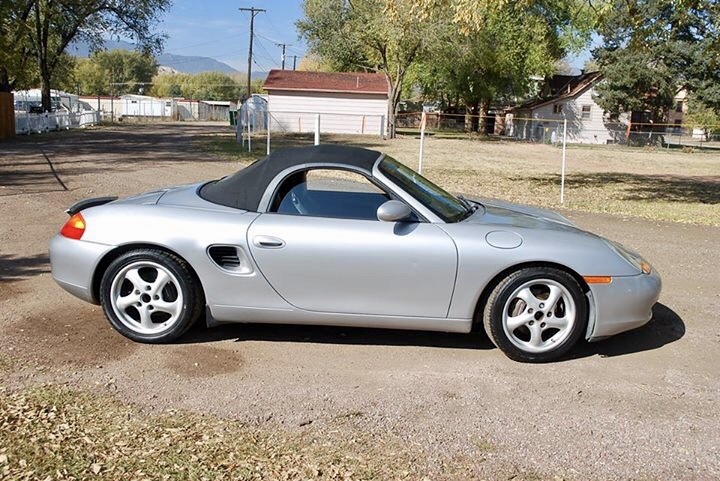 Buy your Boxster.” A week later we were in Colorado picking up my Boxster and driving it 1200 miles home in 36 hours, it performed flawlessly. Averaging 27 mpg and never a hiccup. When I arrived home and pulled it in the garage it hit me.I finally was able to fulfill a promise to my 17 year old self. I said aloud “You did it. Congratulations 17 year old self, you did it. Last edited by L1ttleBastard; 01-04-2018 at 07:05 PM. Great story . . thanks for sharing. Congrats and well deserved. Drive the the hell out your Boxster! Way to go! Congrats on achieving your goal and welcome. Congratulations! There are dreamers and there are doers; you did it! Some wife you have there. Does she have a sister? After reading your comments, OP, I now realize those white residue on the ground surrounding your car were not left over soap suds. Enjoy, your Porsche wet dreams are now reality. Yeah, there's something about the first time you see a Porsche in your garage, it just kind of hits you. I still remember that, almost feeling like I needed to pinch myself as a reality check. Last edited by Frodo; 02-10-2018 at 03:10 PM.